When I’m in schools, I always recognise that the teachers I’m working with are the experts on their school. As well as being expert educators, they understand the idiosyncrasies of their colleagues, leaders, students and wider community. However, what I’m finding more and more is that within schools, teacher “expertise” is often not recognised outside of their perceived domain. In other words, teachers limit ourselves and each other by our job title. We are there to teach our subject(s), do playground duty and write reports. There is little attention paid to actively recognising and nurturing innovation, collaboration or creativity. Up until a few years ago this meant that people just got on with what they were paid to do and thought little more of it. However, with the advent of social media, and Twitter in particular, this has changed. Online, I regularly see PE teachers from one school collaborating with English or Drama teachers from another. Sharing their ideas, experiences etc. Maths teachers developing innovative ideas with art teacher. Yet when I ask about such collaborations taking place within the walls of their own school, very often there’s not much doing. Anyone ever get the feeling that other schools are more interested in what you're doing than your own? @danhaesler all the time! I work with other schools frequently on implementing technology but my own school – nope! @danhaesler agree! Was initial reason I got so immersed in twitter… Positive vibes, so much much support! @danhaesler Yes! Some teachers live in their own little world and have no idea of fabulous things happening just next door! So with these thoughts in mind, I sought the opinion of school leaders who I KNOW value and actively encourage autonomy, creativity and innovation in their staff. 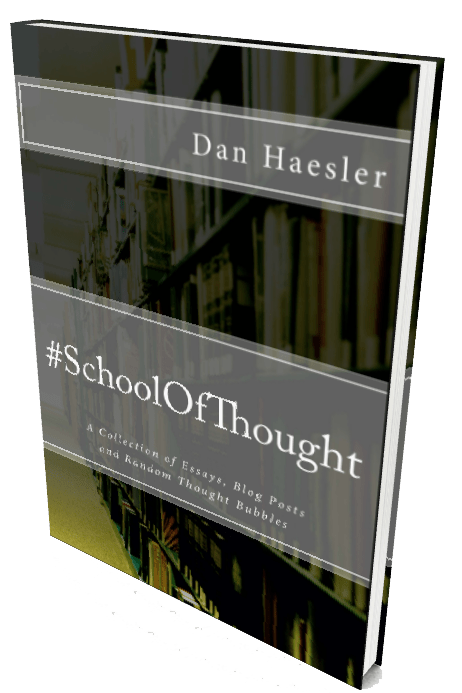 @danhaesler by encouraging teachers to take risks, support them in that venture & use this as a continual growth process. And to finish with, I couldn’t go past this one… I LOVE the sentiments expressed by John his tweet. @danhaesler @benpadslejones answ: leaders stop clinically supervising and help create, explore and discover with your staff. Imagine the school that we could create if we gather all the awesome oz educators on twitter and put them together…… we would smash Finland. 😀 Now now John… What have I told you about competition!? Gotta be a phd in this topic! Dan I love the way you say what many of us are thinking. It offers great solace to know there are other teachers out there feeling, seeing and hearing the same ‘stories’. I think sometimes our own schools are less likely to recognise what we do because we are ‘family’ and familiar – to some extent, it is expected. However at a less benign level it could be due to competitiveness and fear. Fear that when someone else does things in new ways, it somehow means the old ways are less valid and, if the old ways are intrinsically linked to a sense of identity… well I think you can see where I am going with this. The second half of Nicole’s comment resonates with me. 140 characters not enough to explain the complexities! Connecting online for me was not about ego-stroking, but about “connecting”, and finding so many other “glass half full” teachers at a time when I needed some positivity. My role was a new one in the school, and inherent in the role description was a big dose of “change agent” – for me, I didn’t see that as scary because I know I work with others where they’re at, but it took me a long while to work out that just the presence of the role had hidden implications for others. It’s been a long road, but the tide is turning and we are almost all swimming in the same direction. But the fact that things are looking up is due in large part to the sorts of things advocated by the leaders above: collaboration, professional dialogue, support, risk-taking, and exploration. Thanks!